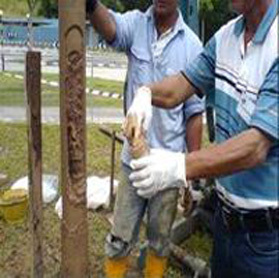 Integrated land and marine soil investigation, instrumentation and testing services. 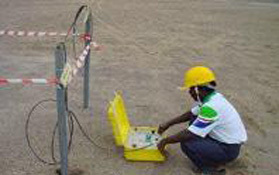 Site Audit for identification of land and marine borehole and groundwater standpipes locations. Soil Investigation for land and marine soil and ground water sampling including survey setting out. We provide professional geotechnical advices on the instrumentation, foundation and basement designs through joint partnership with others external professional geotechnical firms.